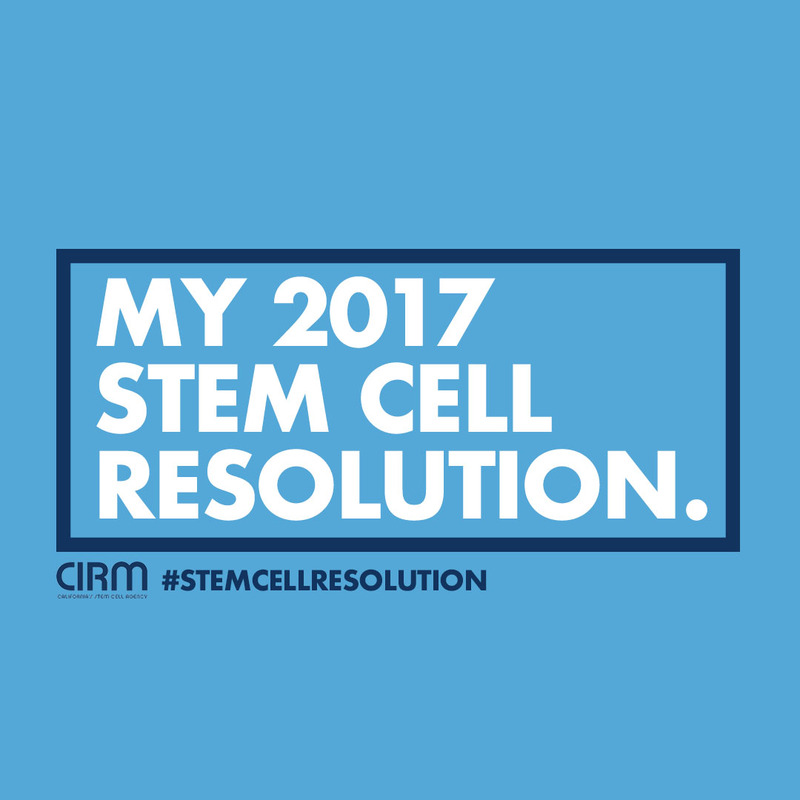 2017 is upon us and it's time to make your New Year's resolutions. 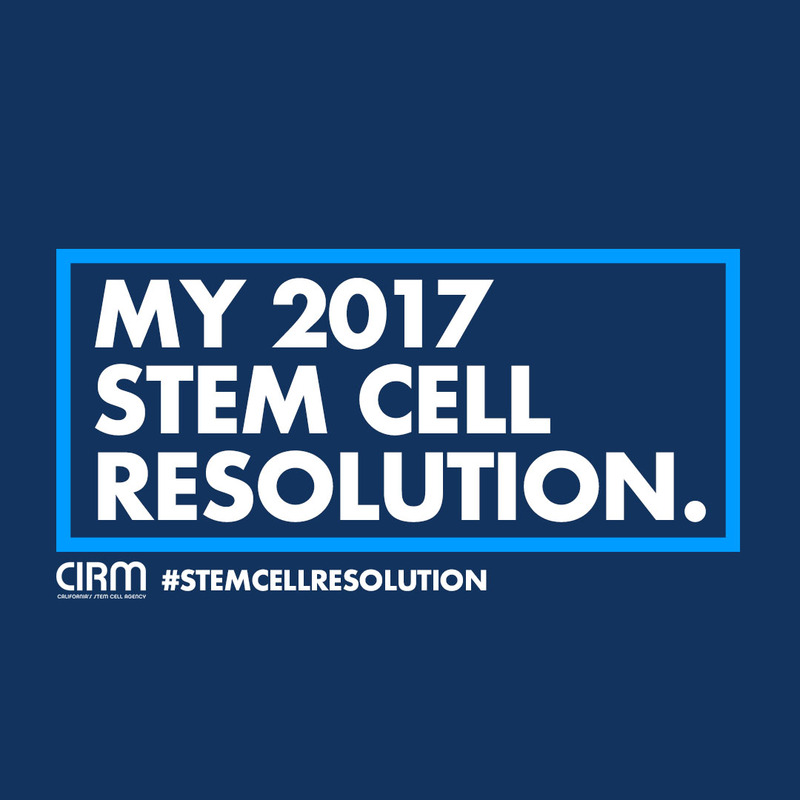 During the month of January, CIRM is challenging you to make a Stem Cell Resolution to help promote awareness about the importance of funding stem cell research and accelerating stem cell treatments to patients. 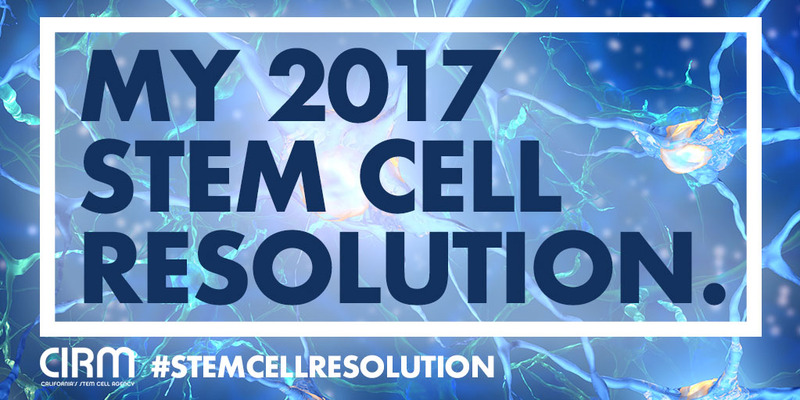 Watch this video for more information and read below for detailed instructions. 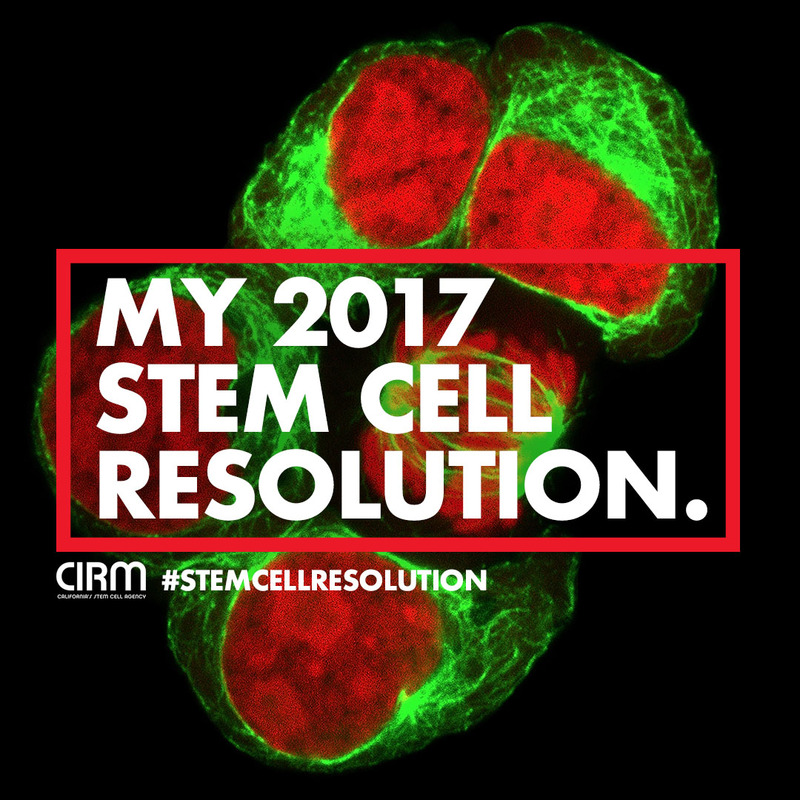 Yes that's right, at the end of the month, we will pick the most inspiring Stem Cell Resolutions and feature them on the CIRM Stem Cellar blog. 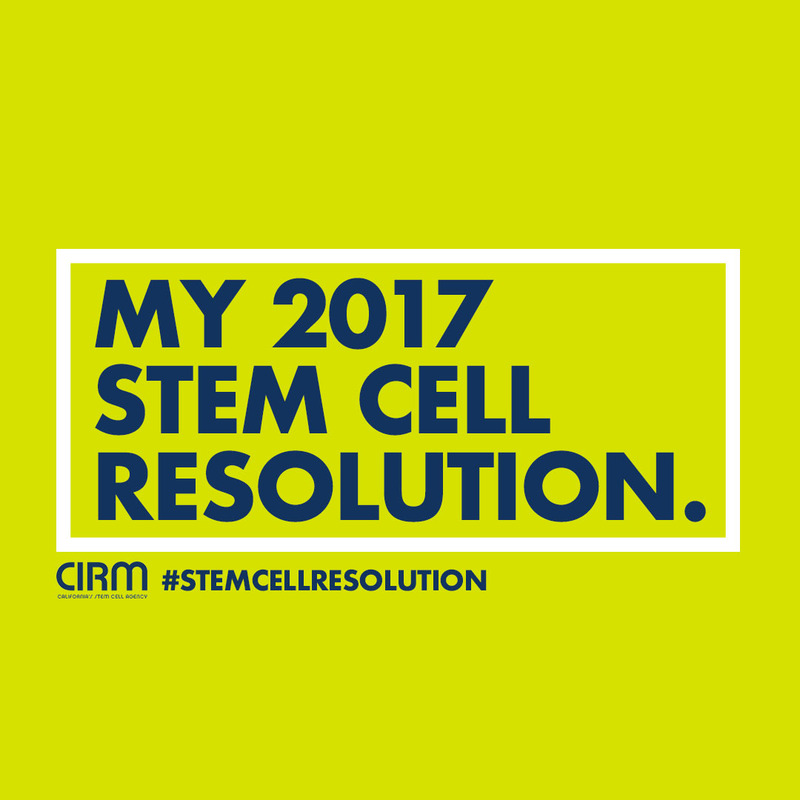 We will also send the people who wrote the resolutions limited edition CIRM Stem Cell Champions T-shirts. 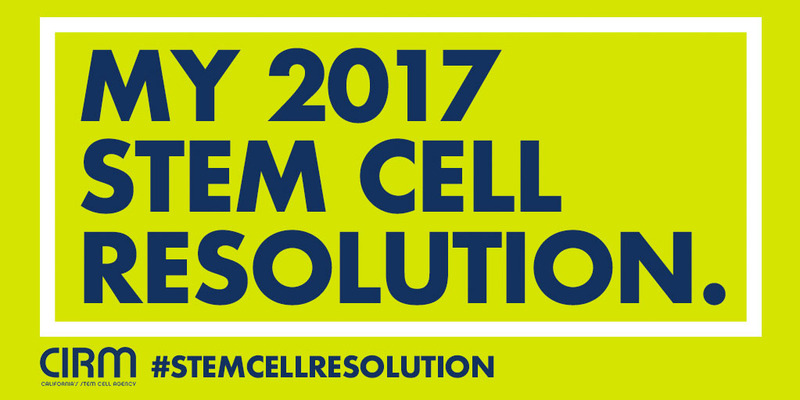 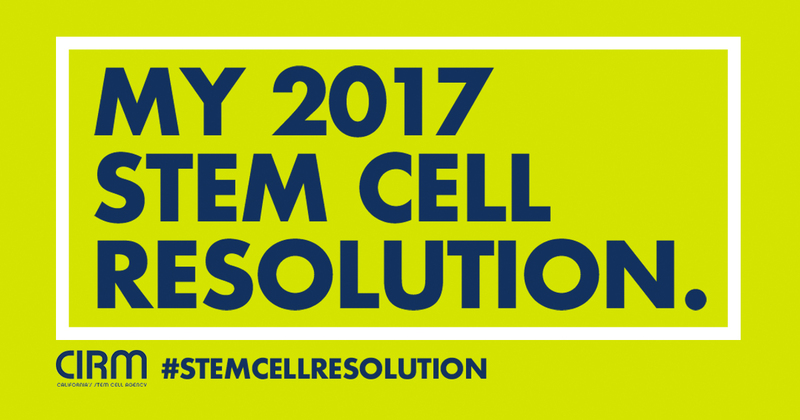 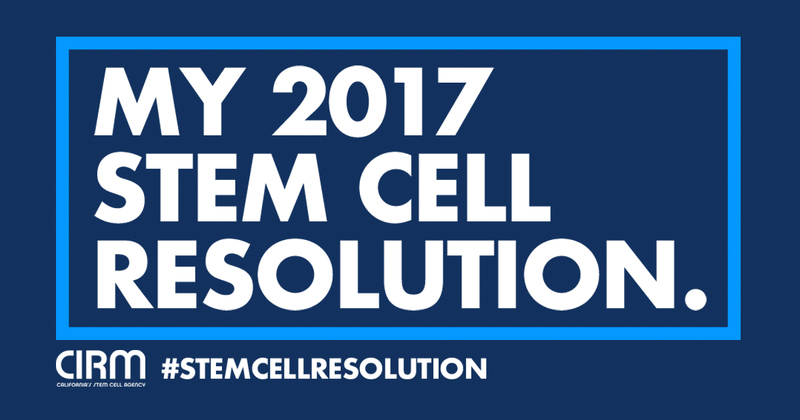 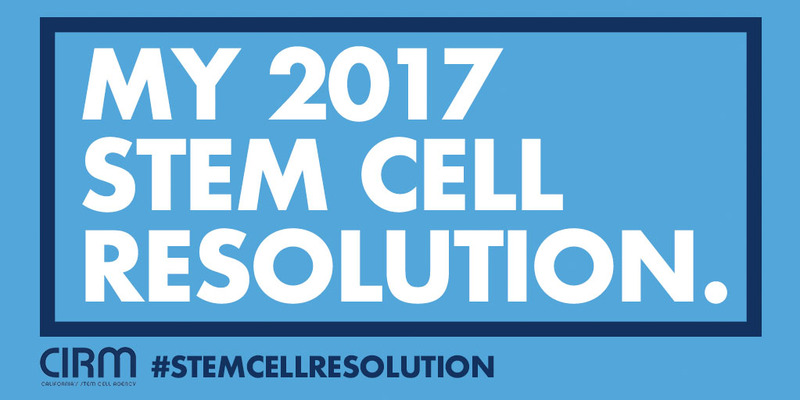 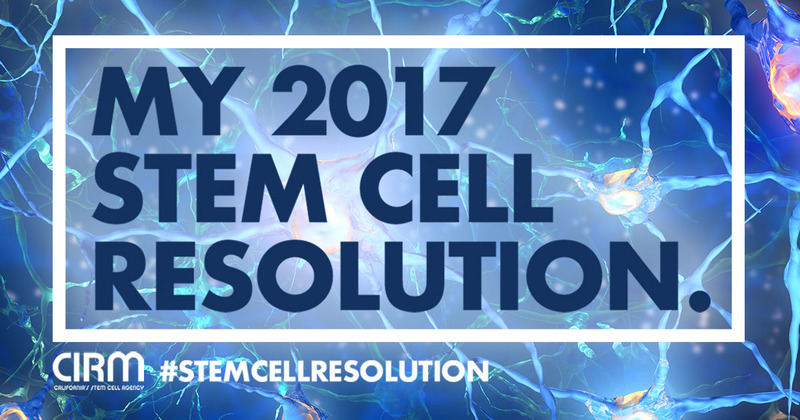 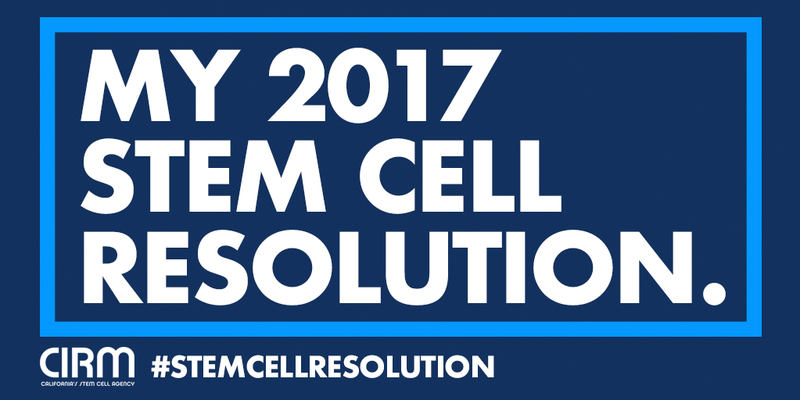 Download our Stem Cell Resolution graphics and post them on your favorite social media platform (or all of them!) 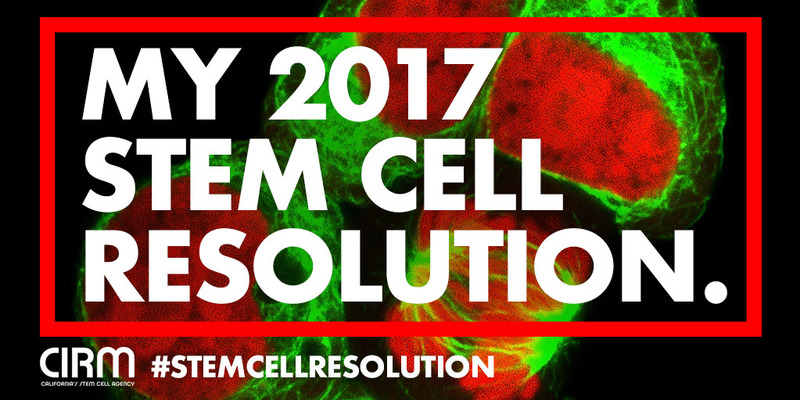 with your resolution and the hashtag #StemCellResolution. 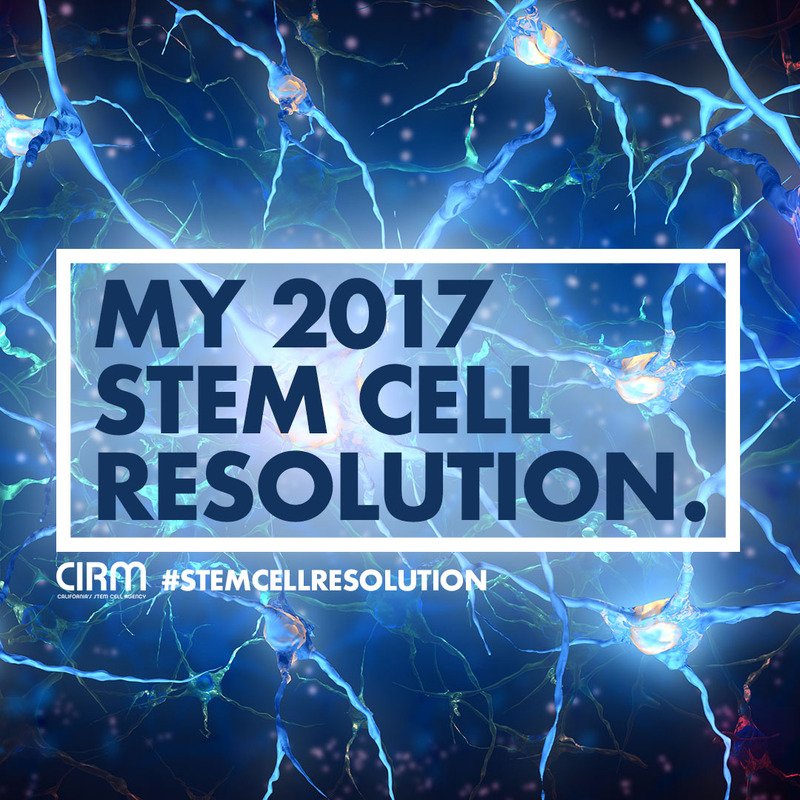 Instructions: CLICK on your desired image, You'll be taken to a separate page with the full resolution image. On that new page, control-click or right-click on the image using your mouse or keypad and then select "save as" to download to your desktop or "save image" to download to your phone. 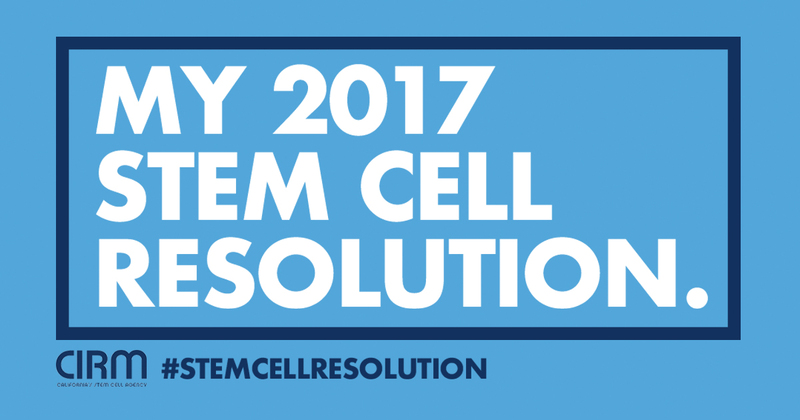 You can also control-click/right-click any image on this page and select "Download Linked File".